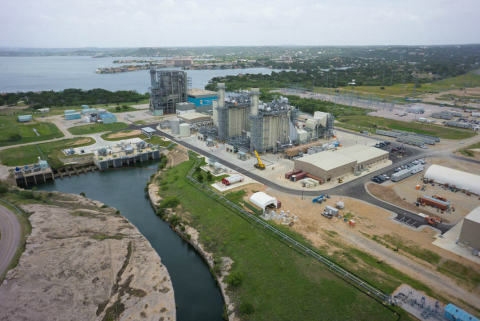 Fluor Corporation (NYSE:FLR) recently achieved substantial completion for the Ferguson Replacement Project, a high-efficiency combined-cycle power plant located in Horseshoe Bay, Texas. Developed by the Lower Colorado River Authority (LCRA), the new 540 megawatt natural gas-fired power plant replaces the now-closed and less efficient 420 megawatt Thomas C. Ferguson Power Plant, which was built in 1974. Fluor was awarded a lump-sum turnkey engineering, procurement and construction contract for the project on November 11, 2011. The new plant was designed and built to meet strict environmental and operational requirements that included incorporating advanced technology to meet low greenhouse gas emissions, designing the plant to meet fast start and ramping capabilities and providing for ultra-quiet plant operation. The Ferguson Replacement Project was the first power plant to be issued a greenhouse gas permit by the U.S. Environmental Protection Agency under new federal rules requiring power plants, cement kilns and major factories to have permits showing how best available technology will be employed to reduce greenhouse gases. “This project demonstrates how two companies working together can deliver a high quality project that exceeds design performance requirements,” said Matt McSorley, president of Fluor’s Power business. During construction, Fluor employed more than 500 skilled craft workers at peak. The company also reinforced its commitment to sustainable economic growth by utilizing minority-owned and women-owned businesses and service disabled veteran-owned businesses as suppliers to complete the project. Fluor’s Aliso Viejo, California office led the project management, engineering and procurement efforts for the facility. The Lower Colorado River Authority (LCRA) is a nonprofit conservation and reclamation district that provides energy, water, and community services to Texans. Created by the Texas Legislature in 1934, LCRA has no taxing authority and operates solely on utility revenues and service fees. LCRA supplies electricity to more than 1.1 million Texans through its wholesale customers. LCRA also provides many other services in the region. These services include managing floods, protecting the quality of the lower Colorado River and its tributaries, providing parks and recreational facilities, offering economic development assistance, operating water and wastewater utilities, and providing soil, energy, and water conservation programs.